In the 21st century, more and more of America's office workers are finding themselves working less from the office, and working from home more frequently. If you are one of the employees in the world with the ability to do this, consider yourself very lucky. This is a great privilege for many employees, but while it may be very convenient, working from home is not without its many distractions. Working from home can easily become a less productive space than being at work as the comforts and luxuries of working from home can easily take you away from what you need to be focusing on. Creating the perfect space to be as productive as possible is the key to a functional home office and there are many contributing factors to this kind of space. The first thing you need to do for your home office creation is to choose the perfect spot in your house that is comfortable, yet will allow you to complete an adequate amount of work with minimal distractions. Make sure however that you do not cram yourself into a tiny space. While an attic may be a nice, secluded place that allows you to be away from distractions, it may not be the best option as far as comfort is concerned. Do you do good work in the kitchen? This is typically a very central point of a home, much like a home base for everything. This can be a great place to be productive, but make sure you won't be distracted with other non-work related tasks that may present themselves in that space. Make sure you factor in comfort with functionality to select the perfect space for your home office. One of the biggest keys to a perfect home office is the comfort factor. Working from home gives you the great advantage of working in a more comfortable setting than going into the office. One of the best ways to keep the comfort in your home office is buy investing in a high quality office chair that is very ergonomically friendly. 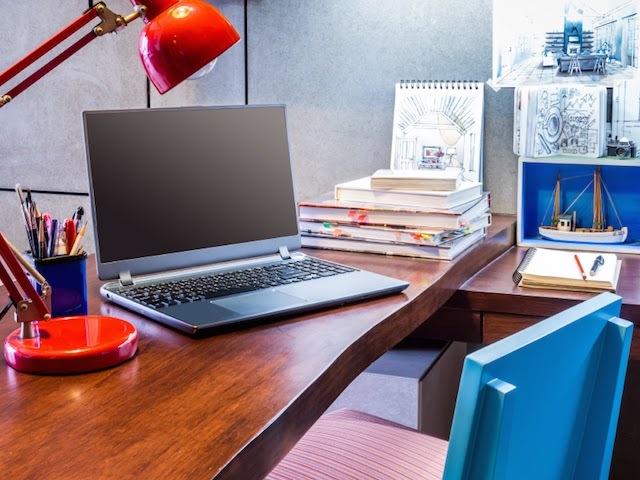 You're going to many hours in this chair and unless you have gone the route of a standing desk, a comfortable office chair is one of the best investments you can make for your home office. Another great way to create a comfortable home office space is by bringing in as much nature as you can to the area. Giving yourself a view with natural light can boost your mood in a big way and can help reduce eye strain and headaches. Bringing in real plants into your home office space will also provide some extra fresh oxygen. If you have the ability to work from home, creating the perfect home office is key to comfort and function. Follow some of these tips and you will have a great home office to enjoy.